As previously announced from Federal Housing Finance Agency, Fannie Mae and Freddie Mac have increased their loan limits to $484,350 for the calendar year 2019. Recently a similar statement was released from HUD pertaining to FHA floor and ceiling limits. This announcement was made today, December 14, 2018 that HUD will increase loan limits in 2019. In this announcement, FHA issued Mortgagee Letter 18-11, pertaining to FHA mortgage case numbers (for forward mortgages) and Mortgagee Letter 18-12,pertaining to Home Equity Conversion Mortgages (HECM) for case numbers assigned ON OR AFTER JANUARY 1, 2019. These articles go over the mortgage limits for Title II FHA-Insured mortgages and the maximum amount for FHA-insured HECM’s for 2019. FHA has always had floor and ceiling loan limits. For a single unit property in the calendar year of 2019, the new FLOOR loan limit will be $314,827. The new CEILING loan limit will be $726,525. For the most part, this increase mirrors the announcement from Freddie Mac and Fannie Mae on their conforming loan limits for 2019. We saw a 6.9% increase from 2018 to 2019. Many parts of California, Colorado, Washington DC, New Jersey, New York, North Carolina, Virginia, Washington, and a few other parts of the country are at the CEILING loan limits. For example, Los Angeles county has increased its FHA loan limits from $679,500 in 2018 to $726,525 in 2019 for single Unit Dwellings. 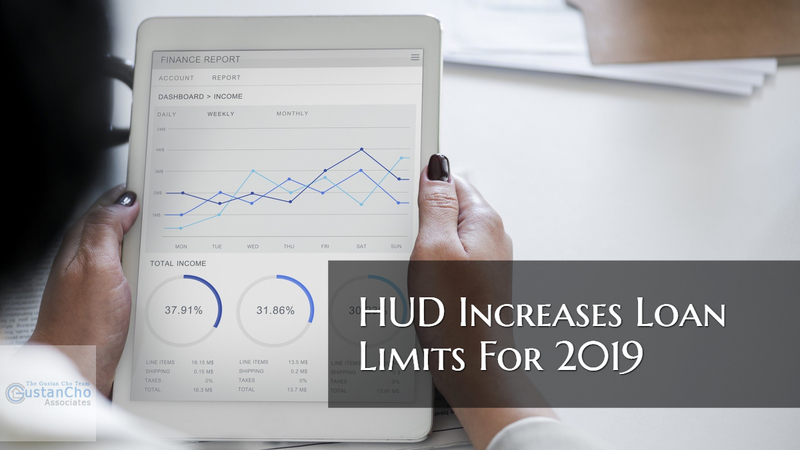 HUD Increases Loan Limits for 2019 on 2-unit, 3-unit, and 4-unit properties. The loan limits have increased on a similar scale to single unit dwellings. How to start an FHA loan application? Want to have rounded up the required documentation, give us a phone call directly at 630-659-7644 or text us for faster response. Or us email at mgracz@gustancho.com. From there we will send you an application link to start the process! Gustan Cho Associates at Loan Cabin Inc. are direct lenders with no overlays on government and conventional loans. The Gustan Cho Team are always up to date and keep our readers informed. This announcement just came out today. We do our best to bring you breaking mortgage news as soon as announcements are made!